Did you hear that ________ (fill in the blank with ARVA, BCA, Mammut, Ortovox, Pieps, or XYZ) is releasing a new avalanche transceiver that you simply drop on the snow and it will tunnel through the avalanche debris, locate and unbury your partner, and quickly begin resuscitation? Neither did I! But I often hear rumors about upcoming avalanche rescue technology that sound almost that preposterous. I also hear rumors about "problems" with various transceivers. I hesitate to perpetuate these rumors, because they frequently look like attempts to use the technology industry's "FUD" approach to marketing. That approach attempts to thwart competitors by creating Fear, Uncertainly, and Doubt. Some companies use this approach to slow the sales of competitors' products while they try to catch up with their own technology. Now I'm not saying that the companies who create avalanche technology purposefully create FUD, but the end result of pre-announcing products is often the same. With the above caveats disclosed and recognizing that there are many great avalanche transceivers already available, here are some of the news and rumors surrounding avalanche transceivers. You'll also find current news here. March 4, 2019. When searching, Pieps transceivers can cause interfere with nearby transceivers that are also in search mode. This primarily affects the testing of reception ranges and shouldn't impact actual rescues. Read the details. May 14, 2018—Ortovox has recalled the Ortovox 3+ avalanche transceiver due to a software problem. The problem can make it more difficult for a searching transceiver to locate a transmitting 3+. Learn more about the recall. October 20, 2017—The Mammut Barryvox and Barryvox S are expected to reach the USA later this year (although they will probably be backordered through February). These are the successors to the Mammut Element and Pulse. Stay tuned for more information! In the mean time, you can learn more about these avalanche transceivers here. October 31, 2016—Both the ARVA Axio and the Pieps Micro are shipping. October 10, 2016—The ARVA Axio avalanche transceiver is rumored to be in production and undergoing final testing. We haven't heard any more details about the Pieps Micro—we will let you know when we do. March 28, 2016—Backcountry Access, the company that makes the popular Tracker avalanche transceivers, informed me that the Jackson Hole Ski Patrol is back to using Tracker 3s. The patrol had previously returned their T3s for T2s (read about it). The Pieps Micro vibrates when a signal is first received so you don't have to look at the screen or listen for a beep, has Bluetooth support so you can update the firmware and control various settings, and automatically switches between search and send based on whether you are wearing or holding the transceiver. This last feature, automatically switching from search to send, is apparently controlled by a proximity sensor. These are revolutionary features that I look forward to testing. The Micro is scheduled to be released for the 2016-2017 season. February 23, 2016—ARVA has released news about the upcoming AXIO avalanche transceiver (watch a short video about the AXIO). The third antenna on the AXIO swings out from the transceiver body which allows it to be much longer than the third antenna on other transceivers. This should make the AXIO excellent at searching for a transceiver that is positioned vertically (ARVA calls it "spheric searching"). 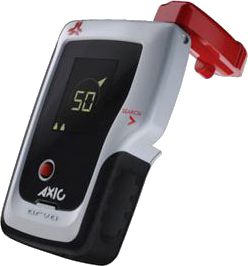 Based on the video, the AXIO has a single thumb-sized joystick, allows marking of multiple victims, has a recommended search strip width of 60 meters, a group check mode, and a slew of other features. The AXIO is scheduled to be released for the 2016-2017 season. September 23, 2016 Update: The Axio user manual is now available on BeaconReviews.com. February 2, 2016—BCA has released software that allows users to update the firmware in Tracker3 avalanche transceivers. Read the press release. Learn more about updating your Tracker3. December 2015—The Jackson Hole Ski Patrol exchanged its fleet of Tracker3 avalanche transceivers for Tracker2 transceivers due to "various problems." I was told this involved 70 transceivers. Although I couldn't extract the details from JHSP's director of snow safety, I've heard from multiple sources that the problems were not present in all of the Tracker 3s and some of the problems were minor while others were "deal breakers." Update: See the March 25, 2016 news update which notes that the JHSP is back to using Tracker 3s. September 2015—Pieps and BCA (the makers of the Trackers) have backtracked on their original plans to allow users to update their own beacons (although there is a rumor that Pieps will support Bluetooth updates in future beacons). UPDATE: The Tracker3 is now user-updateable. July 2015—Black Diamond is voluntarily recalling all Pieps JetForce airbag backpacks. The recall affects all JetForce airbags that were shipped before August 1, 2015. Accordin7g to the recall, "In a limited number of cases, JetForce Avalanche Airbag Pack system malfunctions have resulted in involuntary shutdown and/or failure to deploy the airbag. An update of the firmware will resolve these problems." [November 2015 Update: It sounds like the shutdown can be caused by static electricity generated by a hovering helicopter.] Learn more about the recall including how you can get your JetForce updated. March 2015—The Ortovox S1+ has been voluntarily recalled. According to Ortovox, "in very rare cases" a component in the S1+ can fail which will "cause a disturbance in the transmission function." My sources say that this happened one time and that the "disturbance" was the transceiver appeared to be transmitting when it wasn't. This is a good example of why you should always do a quick test of your transceiver before leaving the trailhead. Ortovox began repairing the beacons in July 2015. The repairs are done in Germany and Ortovox says, "it may take several months to return your beacon to you." This recall affects all S1+ beacons and does not affect the older S1 beacons. 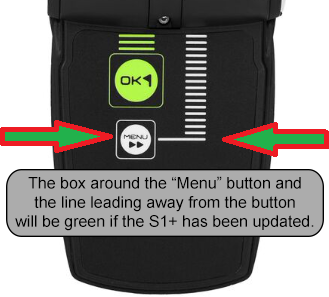 You can tell if an S1+ has been updated (see the above image), because the box around the "Menu" button and the line that leads away from the "Menu" button will be green. Learn more about the S1+ recall including how you can get your S1+ repaired. ARVA announced the Evo4 which adds true marking for multiple burials and a "group check" function. Read the review. BeaconReviews.com has been completely redesigned to be easier to access. The new site allows searching, presents the information more visually, and adjusts for mobile devices. The new menu bar makes it easier to access rescue-related information. The updated site has additional information on electrical interference, perpendicular range tests, cell phone apps, and much more. The Tracker3 is shipping. Read the review. The prices of the Tracker transceivers were reduced $35 to $50. Ironically, the prices of the Ortovox 3+ and S1+ increased by $20 and $40. Learn how energy gels and bars can interfere with your avalanche transceiver. February 7, 2014—German alpine club DAV discovered that if you place two transmitting beacons at a distance where their signals are so far apart that they cannot be simultaneously received by a searching beacon, and you then find and mark (i.e., "suppress") one of the transmitters, some Pieps and ARVA transceivers won't receive the second transmitter's signal when you get within its range. This is an unusual scenario, but Pieps issued an update to remedy it. Read the details here. After being acquired by Black Diamond, Pieps released the DSP Sport and DSP Pro with significant enhancements. They also cut the retail prices by $75. Pieps recalled the Vector saying, "... stop using the Pieps Vector immediately" ( details). ARVA released the all-digital Neo avalanche transceiver ( details). A new version of the Pulse firmware was released with a new twist on the fine search ( details). Ortovox is now installing RECCO reflectors in their avalanche transceivers ( details). Two (dubious) smart phone apps are available for avalanche rescue ( details). Black Diamond and Arc'Teryx are both developing battery-powered airbag packs. In addition to the above news, BeaconReviews.com now includes more information on transceivers that can automatically " revert to transmit" mode, instructions on testing your beacon, and hundreds of minor changes. October 2014—The price of the Tracker3 was reduced from $369.95 to $335.00. You can read our review of the Tracker3. The Tracker3 was released on January 21st (although as of February 1st, it still isn't available on BCA's website). Read the official press release. The Tracker3 is touted as the thinnest and lowest-volume transceiver. It retains the two-digits-only display. That's a shame, because you'll need to figure out that "Lo" means the speaker has been turned off, that "Ar" means auto-reverting has been enabled, that "Tr" means it's transmitting, etc. The Tracker3 does support auto-reverting from search to transmit (based on motion). This feature must be enabled each time you turn it on (by holding down the Mark button). BCA explains that the multiple burial mode is suppression, not marking. That's an interesting distinction, because some other manufactures, and we, use these terms interchangeably. The Tracker3 automatically returns to normal searching after a minute which is very unusual. There's a big explanation of this in the Tracker3's press release, but initially it sounds less useful than traditional marking as found in other beacons. The speaker is very quiet and the sounds are space-age. The Tracker3 can be user-updated via a traditional mini USB cable. Time will tell how the Tracker3 stacks up to other avalanche transceivers. My initial impression is that the Tracker3 is, at its core, a Tracker2 in a smaller housing with a signal suppression system that is designed to compete with newer beacons. 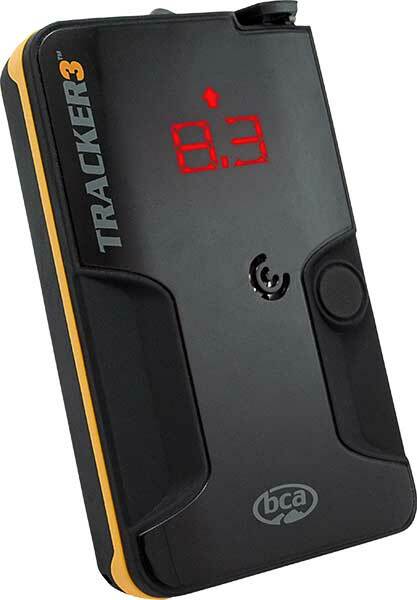 BCA asserts that the Tracker3's signal suppression is more reliable than the competition, but in reading the user's manual, it doesn't sound very intuitive. December 2013—The BCA website has a link to buy the Tracker3 with an "Expected January Release." The price is listed as $369.95. November 2013—And the delay continues. BCA informed me that they "found another bug" and the beacon is not going into production as planned. They do not have a timeline as to when it'll be fixed. October 2013—And the delay continues. Snow-safety professionals received an email in September 2013 saying that they could place an order for the T3 on November 15, 2013, but that there would "be a line" to receive the new beacon. My source said BCA just "crushed the last bug" and they're testing the beacon now (almost the same words I heard in October 2012). I've also heard that there might be additional delays due to lead times acquiring parts. I'll stick my neck out and say I'll be surprised to a steady supply of T3's until late in the 2013-2014 season. The Tracker3 appears on several websites at a price of $369.95us, but they list it as "sold out." More appropriate verbiage would be "not (yet) available." February 2012—Rumors have leaked about BCA's Tracker3 that is 20 percent smaller and lighter than the Tracker2, displays whether there are one, two, or more transmitters, and includes a Mark button for multiple burials. The fact that they're adding a Mark button is almost ironic, because they've written numerous articles saying that digital marking can't be done accurately. Competition is a good thing. October 2013—Ortovox and RECCO jointly announced that Ortovox will be including RECCO reflectors in all new transceivers. This decision isn't without controversy. The advantage of wearing a RECCO reflector is if you are buried by a second avalanche while searching, a rescuer with a RECCO detector will be able to locate you. The disadvantage is that RECCO reflectors that are worn by rescuers who are participating in a search may confuse someone who is searching with a RECCO detector (more information). November 2014—Black Diamond's JetForce airbags have been released. Three models are listed on the Black Diamond website. All three are listed as "currently unavailable." October 2013—Black Diamond and Arc'Teryx are both developing battery-powered airbag packs. The battery runs a fan that inflates the bag. The concept of using a fan has significant advantages over traditional gas cylinders: you can deploy the bag multiple times (four times for the Black Diamond airbag), it's easier to recharge a battery than to refill a gas cylinder (i.e., no need to locate a store that can refill or exchange the cylinder), and the lack of compressed gas means the airbags will be welcomed on airlines. I've seen demonstrations of the Black Diamond bag and it is impressive. The bag continues to inflate for about a minute (while you might be tumbling in an avalanche) and then after a few more minutes, the bag deflates to create a possible air pocket. You can then stuff the bag back in the pack and you're ready for another deployment. Black Diamond expects to begin selling their bag in the fall of 2014. No solid news (or a release date) from Arc'Teryx. UPDATED: Read about the July 2015 recall of the JetForce. January 2013—With the announcement that BCA (the company that makes the Tracker avalanche transceivers) has been acquired by K2 Sports, there are no longer any stand-alone avalanche rescue gear companies. Let's hope the acquisitions lead to increased innovation and decreased costs. October 2013—The Neo has been released with a retail price of $349.00us. It looks like a good transceiver, but it'll face tough competition from the similarly-featured DSP Sport which has a retail price of $274.95us. Read the review. January 2013—I'm unsure how many transceivers the marketplace can support, but ARVA recently announced a new beacon, the Neo. ARVA is touting it as friendly, intuitive, reliable, and good at searching. That sounds like what all manufactures would say. They're also saying it'll have a "great cost-to-feature ratio," but they haven't announced the price. October 2012—Black Diamond Equipment has acquired Pieps from its parent company for the U.S. equivalent of $10.3 million in cash, $2.7 million in debt assumption, and up to an additional $3.0 million (in cash and/or Black Diamond stock, with the mix at BD's discretion) contingent upon certain sales targets between April 1, 2012 and March 31, 2015. One factor in meeting those sales targets will be when the Vector finally hits the market. Read the press release. December 2012—The Zoom+ is now selling in Canada and Europe. It'll be available in the USA pending FCC approval. Read my review. October 2012—Originally announced in January 2012 at the price of $249, the Zoom+ is now anticipated in December 2012 with a price of $299. The Zoom+ is essentially the replacement for the Patroller Digital (which is slated to be discontinued after the 2012-13 season) and will feature three antennas with a multiple-burial indicator, but with an new housing design. The Zoom+ will not have a multiple burial marking/masking/flagging feature, but will include signal analysis so as to lock in on the strongest signal (as opposed to "bouncing around" among "competing" signals). As with the Ortovox 3+ and S1+, the Zoom+ will include Ortovox's "Smart Antenna Technology" which shifts the transmission to whichever of the two main antennas has a more horizontal orientation (thereby avoiding worst-case vertical orientation for transmission range). And as with the 3+, the Zoom+ will feature a single AA battery that still meets the required 250 hours of transmission time. November 2014—The rumor is that Black Diamond is ceasing development of the Vector. Instead they will focus on the DSP Sport/Pro and the JetForce airbags. November 2013—The inside story on the Pieps Vector is that its rechargeable Li-Ion batteries were slowly losing the ability to hold a full charge. Pieps gave customers 175€ (~$240us) and a DSP Pro in exchange for their Vectors. I've heard from a reliable source that Pieps intends to fix the problem, but it may take a couple of years. For what it's worth, the Vector was released in Europe and Canada in late-2012, but it was never released in the USA. I'm somewhat surprised with the decision. It'll be interesting to see if the Vector returns. I'm also somewhat relieved with the decision—the Vector's complexity isn't appropriate for a rescue device. December 2012—After being told that the Vector wouldn't be released this season, I now have one in my hands. The Vector has been released in Canada and Europe. No definitive date as to when it'll be released in the USA. Read my review. November 2012—Pieps has reported that they won't be releasing the Vector this season. They told me that the transceiver functions are working perfectly, but they want to continue to improve the user interface. They're disappointed it isn't ready, but want to make sure that when it's released, it's perfect. January 2012—The Vector has been delayed until next year... I don't know if it's related to the acquisition by Black Diamond or problems with the Vector, but Pieps has stopped responding to my emails. October 2011—The U.S. Pieps distributor says that the release date for the Vector will probably be January 2012 with some test units available in November 2011. January 2011—The folks from Pieps were showing the Vector at the Outdoor Retailer Show in Salt Lake City. It has four antennas, selects which antenna to transmit on based on the transceiver's orientation (which was an innovation first introduced in the Ortovox 3+), has a rechargeable battery (that is purported to last for 2+ years and then be replaced at a service center), a USB port, and includes a built-in GPS that displays latitude/longitude, allows you to upload a map, and can tell you when to change directions during your signal search. It's said to be lighter and is expected to have a longer search range. I did have a chance to play with the Vector at the January 2011 OR Show, but only indoors. It'll be interesting to see if the Vector, with its feature-packed list new innovations, is accepted as the professional's transceiver or considered too complex. In either case, Pieps remains the industry's major innovator. Early 2010—News of the Vector, the next generation avalanche transceiver from Pieps, has started leaking out. To Pieps' credit, they've remained extremely quiet about the Vector and have not fanned the FUD (Fear, Uncertainty, and Doubt) fire. With that said, I'll now do the fanning. The Vector is rumored to have the now standard three antennas and multiple burial marking. Cutting edge features include a fold-out antenna (that switches the Vector into search mode and should improve its range while minimizing the transceiver's size) and a lithium-ion rechargeable battery. Even more revolutionary is a built-in GPS to aid searchers and a USB interface which you can use to download the GPS data (including maps showing the search path, multiple burials, and marked locations). The description sounds almost as futuristic as my introduction to this page of rumors! I have been told that the Vector will be unveiled at the winter Outdoor Retailer show in Salt Lake City in January, 2011. The Pieps DSP undeniably pushed the technology envelope with a number of firsts including three antennas, upgradeable software, marking of multiple victims, and a built in compass and altimeter. It looks like Pieps may have another game-changer with the Vector. July 2011—Ortovox was acquired by backpack manufacture Deuter Sport. See the press release. November 8, 2011—The Element is no longer a rumor. Read about it here. November 16, 2010—Mammut will be introducing a new avalanche transceiver "for the winter of 2012" which will be named the "PULSE Element." The Element was designed to reside in the "group of low to mid-priced beacons [used by] occasional users." The Element is not meant to replace the Pulse, but rather to target non-professionals and users with less demanding needs. I believe my source for this information is solid. The Element will be built using the same (small and light) chassis as the Pulse. As with the Pulse, the Element will have three antennas, include a group check mode, support suppression of multiple victims, and will be upgradeable. The simplified Element will have a single button (versus two on the Pulse), an icon-only interface (versus textual messages on the Pulse), and will auto revert to transmit mode based on fixed time period (rather than a user-selected time period and motion as done by the Pulse), The Element will be digital only (without the Pulse's ability to toggle between analog and digital). The simplifications continue with the Element's ability to list multiple victims on the screen, but it removes the Pulse's ability to select specific victims. The Element will not sense motion to indicate which victims appear to be alive (as supported by the Pulse), and its direction indicator will not point behind you (a feature only available in the Ortovox S1 and the Pulse). The range is expected to be between 40 and 50 meters. The proposed retail price is $350 (versus $450 for the Pulse). Demonstration models are expected to be available at the winter Outdoor Retailer show in January 2011 (in Salt Lake City, Utah). It looks like the Element is targeted to customers who might otherwise lean toward the Ortovox 3+ and the Tracker2—that's a big and growing consumer group. With the Element based on the Pulse's technology platform, I expect it will be a solid performer. December 16, 2010—Recent rumors state that the Mammut Pulse has trouble locating the BCA Tracker2 transceiver. The claims that I heard were vague (some reports said the problem only occurred with multiple burials while others said there was a 20-second delay before the Pulse identified the Tracker). BCA and Mammut issued a joint press release today stating that they were unable to recreate any compatibility problems. October 2012 Update: It seems almost ironic that the Ortovox S1+ no longer includes a compass, but instead uses an accelerometer to sense changes in direction. I don't know if Ortovox's patent covered both accelerometers and compasses. October 15, 2010—This is no longer a rumor, but it was for a few years. 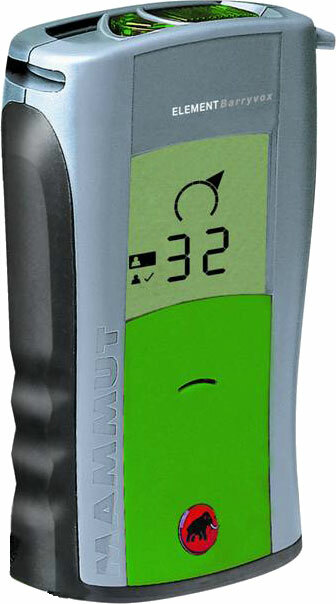 Ortovox sued Mammut for incorporating a compass in the Pulse transceiver. Ortovox ended up winning the case which prevents the Pulse from being sold in Germany (and resulted in Mammut paying Ortovox a cash settlement). You can read the details, from Ortovox's perspective, here.